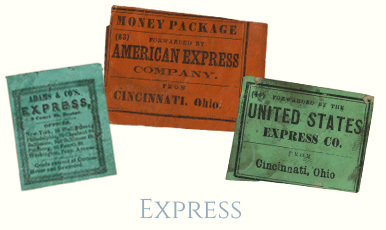 Auction catalogs are important resources for collectors. 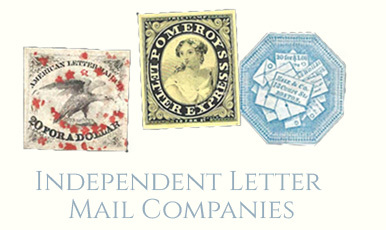 Although the earlier catalogs did not include photographs, and group lots were more common, it is often possible to trace the pedigree of a certain scarce or rare stamp or cover, and to prepare a listing of known varieties. Catalogs of Robert A. Siegel have included many lots of locals and carriers, and their website permits a user to search for any term that is included in lot descriptions for several years of sales. 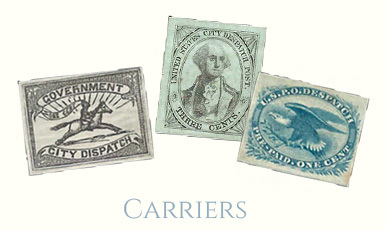 Other auction catalogs focusing on carriers and locals are available through our literature dealer members: Leonard Hartmann, Eric Jackson, James E. Lee, and Byron Sandfield (Park Cities Stamps). The German Sale was held on Nov. 3-5, 1921 by Marken & Ganzsachenhaus Co. in Berlin and J. M. Bartels Co. NYC. Although the consignor is unknown, this sale included many important items and many photographs of carriers and locals. It is a rare auction catalog today. 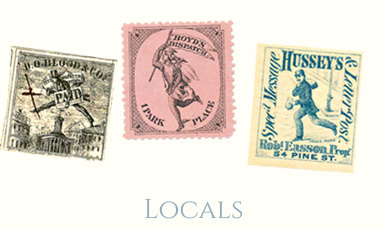 Download the auction listings [DOWNLOAD PDF] and the photo plates [DOWNLOAD PDF].